5-stone diamond ring with elegant square claws and a court ring profile. This captivating design features five 0.30ct Round Brilliant Cut Diamonds graded G Colour and SI1 Clarity, and have been carefully set into the piece using four claw settings. 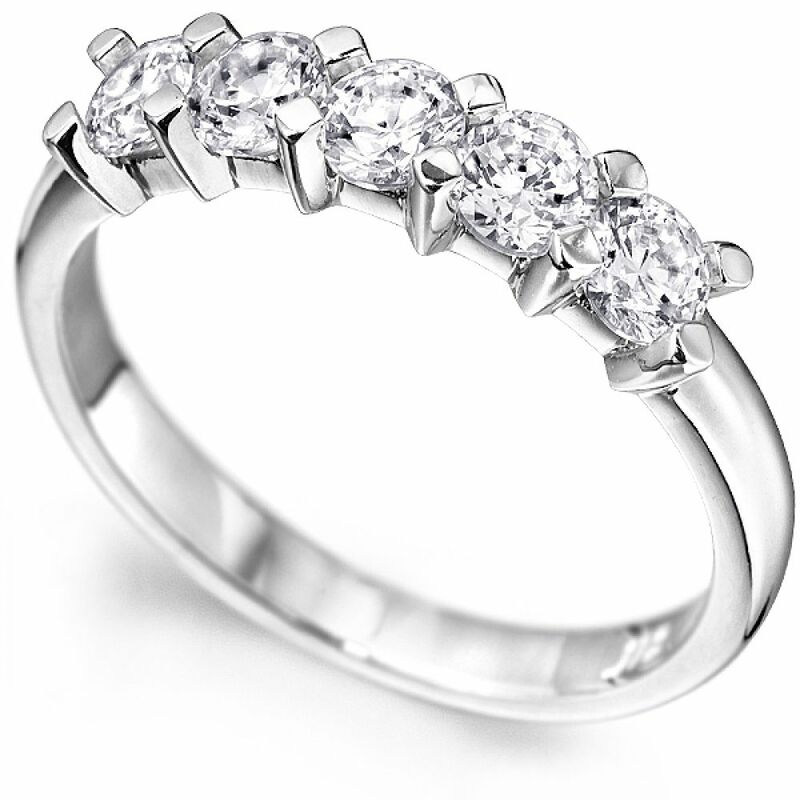 Created in 18ct White Gold, this ring will fit a finger size Q. Available for immediate dispatch, your ring can be with you with Next Day Delivery (within the UK), and with you in a few days if you live internationally. Wrapped in our bespoke packaging, it will be delivered straight to your door by a trusted courier for your piece of mind.